Discussion in 'Busch Gardens Tampa' started by Brian G., Sep 13, 2018. Nick and LintemuthStudios like this. Alicia, LJGonz, Scott W. and 4 others like this. I do think this looks better than I thought it would. I am so glad they went with Tigris for the name. I was getting tired of the two word named attractions. Love the logo too. I'm really impressed with how far along they are on site prep! They'll be vertical before the end of the year. SWP&E is serious about trying to get the new capex online before the summer from now on. Yeah, I love the logo and colors as well. The coaster itself?....meh, just not my thing. 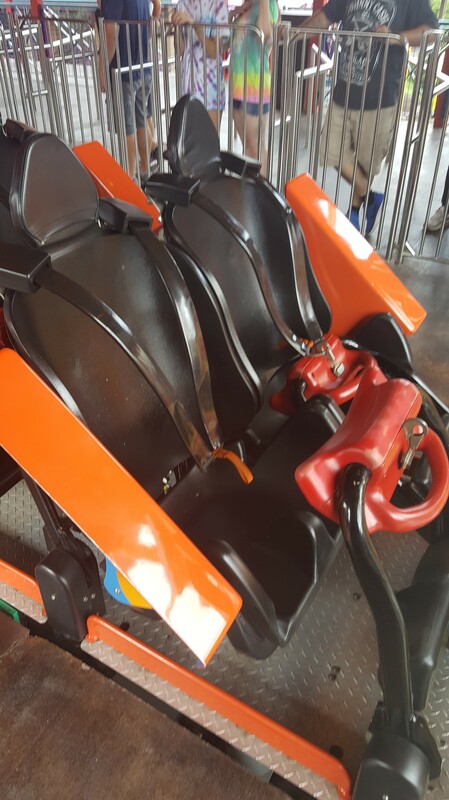 I absolutely hate the look of this coaster. But at least Gwazi RMC, so cant complain too much. AlexanderMBush and gabe3235 like this. Everyone seems to be praising the look of it, but I agree. Not a huge fan of it. Honestly..indifferent. Not a fan, but I am not going to hate it. It's..filler, so to speak. Doesn't that type of coaster mean that it would be pretty low capacity....like Vekoma Boomerangs? The standard 2 car model has a theoretical capacity of ~500 people per hour, but this has the extra car so it should be somewhere around ~750 I think. For a comparison, Cobra’s Curse is ~1,100 and Cheetah Hunt is ~1,400. Then you have unload/load time. Let's say it's about a minute interval between dispatches (which likely won't happen). Max capacity with that will be 558 per hour. Realistically, I don't see them hitting that. Yuck. Slow motion loops get me sick. Coupled with the low capacity. I'll pass. I'd rather do an impulse coaster like Wicked Twister than ride this thing. This is super lame, but as long as they get an RMC in 2020 this is better than a flat ride year. Honestly I would be happy if they stick with with a some kind of new ride every year model here in the Sea World chain. Universal and disney are so set on expensive rides that limit the quantity of their investment it opens up a hole in the market. I haven't been to BGW but I'm told that they regularly dispatch Tempesto in less than a minute. The park will surely allocate some of their best staff to Tigris. I believe a big reason for the "comfort collars" is faster dispatch times. Much quicker to do a quick tug on those than having to assure the lap bar is on tight enough. But loading is slowed by the comfort collars? No, it's expedited. The collar holds them in without having to be stapled like a lap bar. It's pull it down then tug to make sure it locks. No having to make sure the larger guests fit the restraint. When I worked at SFGAdv that was given as a big reason why they went with OTSRs on Kingda Ka instead of the T-bars that TTD has. Faster loading, wider range of bodies fit easily. Tempesto got new collars which I’ve heard are much better than the originals. I wonder if this will have the new ones or the old ones.